A project that got our digital big shots all revved up and ready to show what we can do. 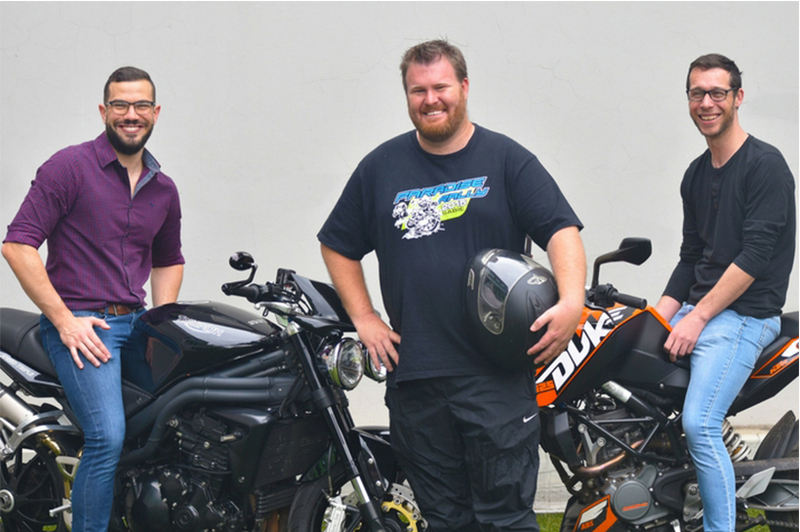 When we were approached by Donovan Fourie to build a new site for The Bike Show, our digital AD and head of digital, who are both avid bikers, were over the moon. “The Bike Show travels all over the world to test the most beautiful and powerful machines. I felt like a kid in a candy shop – one we were building,” says Nic Baker, Digital Account Director at Stratitude. While the two were neck deep in code, wheel bearings and other digital and bike equipment, we let them be; but as the site is up and running, it’s time to pick their brains. How were you involved in The Bike Show project? I client managed the project. In layman’s terms, I schmoozed Donovan. I kept him up to date on the site’s development and made sure he NEVER saw what was happening behind the scenes. What elements did you incorporate into the site? We placed a great deal of focus on search engine optimisation. Also, by using imagery and videos we kept the content interesting and the visitors engaged, and we were able to incorporate the look and feel of the show itself. We carefully structured and categorised the content to bring logical order to the site, making it neat, and easy to navigate and consume. What innovative elements did you contribute to this project? Not running out and buying a new motorcycle as a result of looking at and reading all the stories! 😉 But in all honesty, finding and creating a logical navigation structure given HOW MUCH content there was to display. Cool motorcycle pics! Also, meeting Donovan and Harry. If you can have any bike, what would it be? Take us through your thought process for this project? Donovan wanted something he could fully manage, and the site needed to place content front and centre, while allowing for online advertising as a revenue stream. These were the major goals and constraints. Adapting these requirements while ensuring the strategy and tech align to them, guided my thought process. Our platform choice was perfect from a content and management perspective, but it didn’t cater at all for the advertising requirements. I built a bespoke ads manager for the job, which includes all the reports Don needs to sell ad-space. What’s the site’s views/visits been like since its launch? Show us the numbers. We’ve had over 350k ad impressions and roughly 100k page views in 2 months. So, I’d say that’s pretty good! Awesome clients! Harry and Don were a real treat to work with. They absolutely know their stuff regarding bikes and guided us perfectly. Ooof! Can I list several? ☺ In my garage, I’d like a KTM 450 EXC, a BMW R nine T, and a cheapo scooter – probably a Honda. We also chatted to Donovan Fourie from The Bike Show to find out what he thinks. How did the briefing go? We provided the guidelines to Neil and Nic, explaining exactly what we wanted to do. Actually, no – that is what we intended to do but, the guys are both bike nuts, and before we could give them our thoughts and ideas, they showed us theirs, which were mostly the same as ours, some even better. This gave us total confidence in them. How was the website improved/updated? Neil and Nic completely redesigned the website, keeping nothing of its previous look and function. Instead they give us something that looks new and sophisticated. We’re thrilled. How has the site improved since its relaunch? We have ten different advertisers. It’s our third month of business, and they are thrilled with the response they’ve received, especially in comparison to more established websites. This is how we judge the value of our site, and it has gone beyond our expectations. In your opinion, what was the “best” improvement on this site? Everything. The look, the feel and the usability. It is a site we are deeply proud of. One bike only? That’s not fair! 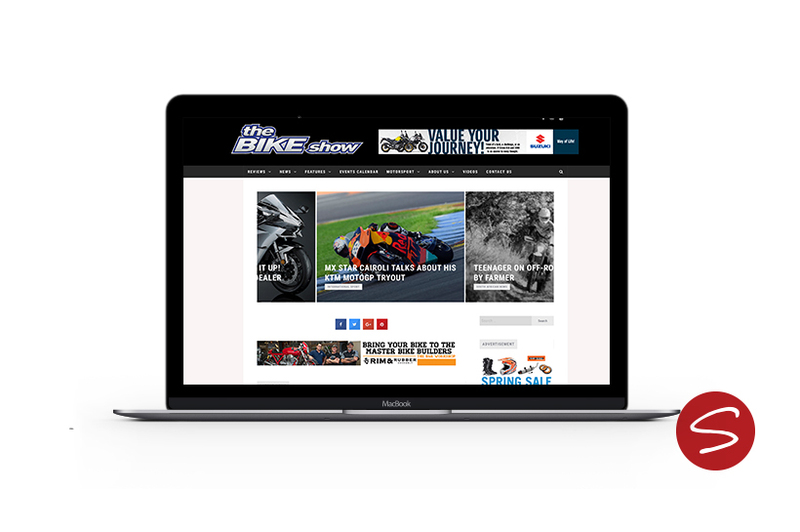 To find out more about The Bike Show and to soothe your motorcycle cravings, visit thebikeshow.co.za. However, if you’d like to put our digital gurus to the test yourself, visit www.stratitude.co.za.